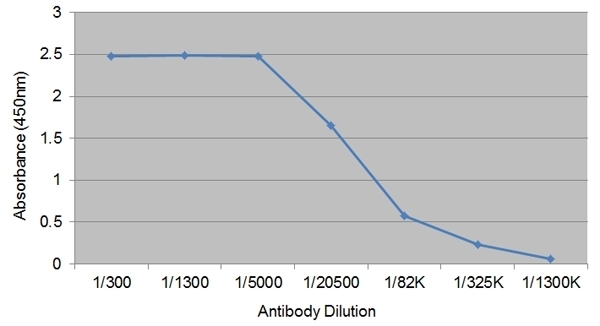 Mouse anti Bovine IgG1 antibody, clone IL-A60 recognizes bovine IgG1. Mouse anti Bovine IgG1 antibody, clone IL-A60 immunoprecipitates a protein band of 55-59 kDa, consistent with the heavy chain of bovine IgG1 (Campbell et al. 1998). Spleen cells from immunised BALB/c mice were fused with cells of the X63.Ag.653 myeloma cell line. Campbell, J.D. et al. (1998) A novel cell surface proliferation-associated marker expressed on T cells and up-regulated on germinal center B cells. J Leukoc Biol. 63 (5): 567-74. Williams, D.J. et al. (1996) The role of anti-variable surface glycoprotein antibody responses in bovine trypanotolerance. Parasite Immunol. 18 (4): 209-18. Hecker YP et al. (2014) A Neospora caninum vaccine using recombinant proteins fails to prevent foetal infection in pregnant cattle after experimental intravenous challenge. Vet Immunol Immunopathol. 162 (3-4): 142-53. Dorneles, E.M. et al. (2015) Immune Response of Calves Vaccinated with Brucella abortus S19 or RB51 and Revaccinated with RB51. PLoS One. 10 (9): e0136696.